The popular game Lineage never fails. I love how lineage was made, I remember my first time playing it, I picked a Dark Elf because you know.. 8th grader syndrome. I felt cool being dark, cool and strong. To add it up, I chose the very “cool” class, which is the Assassin – Phantom Ranger because I felt cool. Lineage 2 was one of the first game to introduce the “swimming” feature where the players can also battle underwater unlike other games where your character literally just walks underwater. The feature around that time was very fascinating. 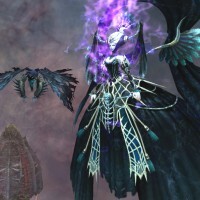 One famous antagonist or boss in the lineage 2 storyline is Enira, the Banshee Queen and she will be our topic for this article. Having the Gothic Vibe and Final Fantasy thingy feels Enira is one of Ekidna’s guardian maids who Ekidna dispatched to spy on Ekimus after their separation. 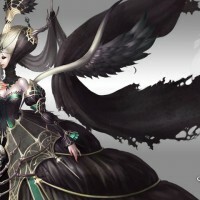 Originally she was closer to a Dark Magician type, not a Banshee Queen, but she became a Banshee Queen after gaining a strong death energy by staying with Ekimus for a while. Our cosplayer for today is Yaya Han. 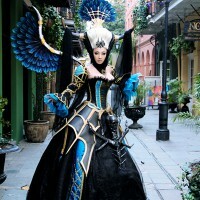 She is a costume designer, model and cosplay entertainer with over a decade of experience. 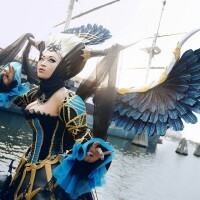 After discovering cosplay at Anime Expo in 1999, she quickly absorbed the heart and soul of costume design and creation. To this day Yaya has made close to 300 costumes in the genres of anime/manga, comic books, video games, sci-fi and her own original designs. Literally, only a few can cosplay and copy her outfit. The costume is obviously ridiculously hard to make. 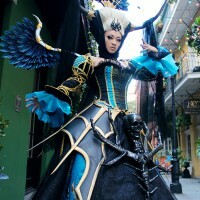 According to Yaya Han, as soon as she saw this character, she knew shed to make that exact costume. It was an instant obsession she said and began collecting the materials. The costume is has a gothic theme to it so obviously alot of Black materials was needed. Other highlighting colors are blue and gold. The wig is are made from 2 Arda Wigs combined (Hell I wouldn’t even wear that thing, it’s freaking heavy and big). The sleeves were custom patterned. 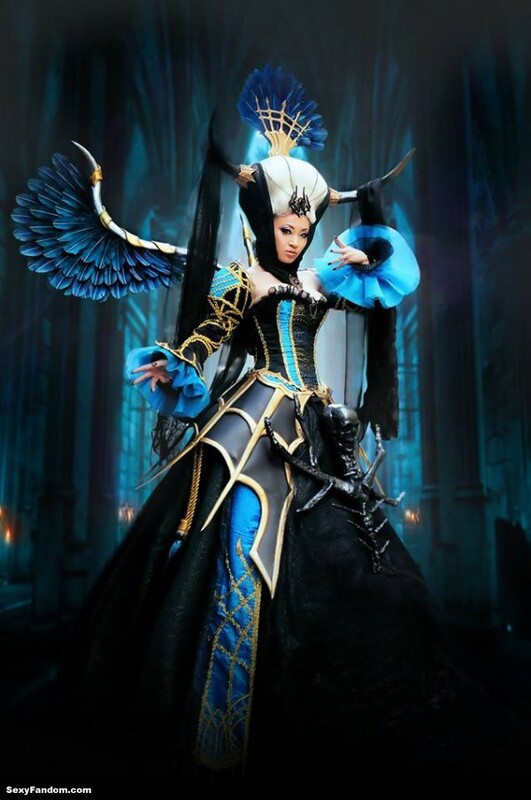 A lot of worbla was used for this cosplay such as for wig, painted wings, long ballgown skirt, tattered with a blow torch and spiderweb skirt. 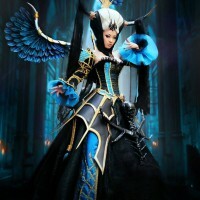 Although the outfit wasn’t perfect, you may see it as a very gorgeous and professionally made cosplay if you haven’t seen the exact Enira in the game. I can say this is one of the hardest cosplay Yaya Han ever made. Yaya Han is an exceptional cosplayer with a great talent for both modelling and tailoring her costumes let’s at least support her by following her on Facebook, Twitter, Instagram, Youtube Channel and DeviantArt. Let’s also support her photographer DTJAAAAM photography.